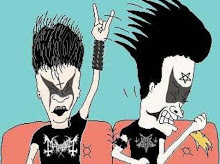 A song from each of these fellas ,and their one-man shitcore bands! 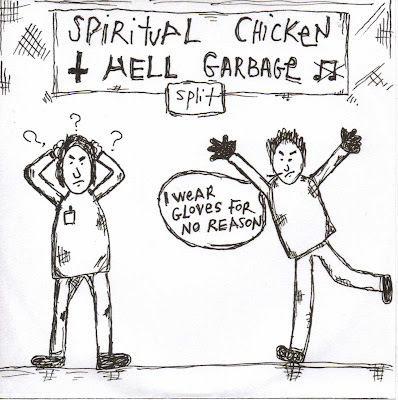 Spiritual Chicken is Frank Goshit ,of Canada ,sounding much like a demented gypsy ,if she was a chicken on acid.I think I can detect some large bells or chimes ,bonging on some of this track ,a piece that will do almost nothing to relax you ,my friend! Dylan ,Florida's favorite shitcore son , is Hell Garbage ,and this time he goes acoustic ,with a song that has little to nothing to do with cous cous.Both tracks clock in at around 16 minutes , experimental and original as always with these guys! Wear gloves for no reason.Do it! The track was called "Cous Cous" because I played an a-COUS-tic guitar! Get it? Hahahahahahahaha! Before this, Frank (under the name Kustaasiitaakun) recorded a tape called "Spiritual Chicken," which eventually led to the birth of this amazing project! I'd really like for him to record more for it someday. Poc poc poc poc poc poc poc poc poc poc poc poc poc poc poc poc poc poc poc poc poc poc poc.